Working silver compass pendant with a highly polished finish and framed in 18k gold. 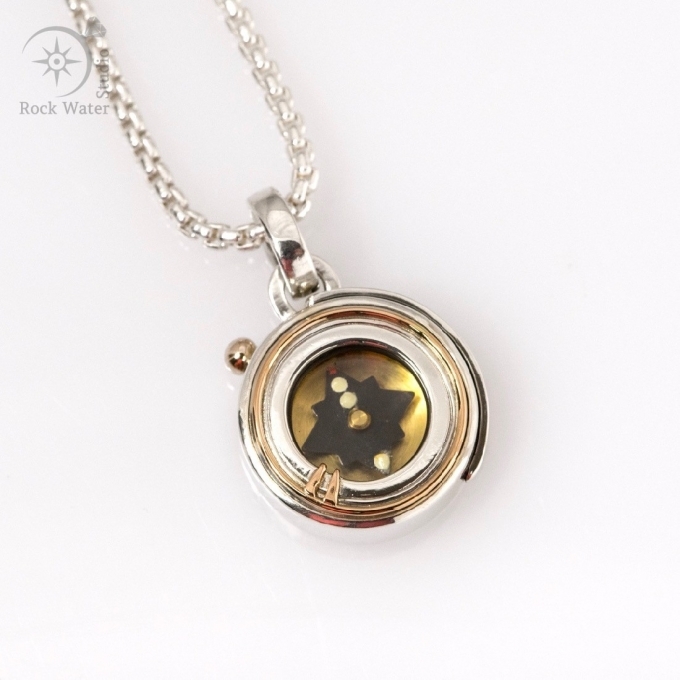 Suitable for a man or a woman, the modern and simple design includes a solid gold droplet. 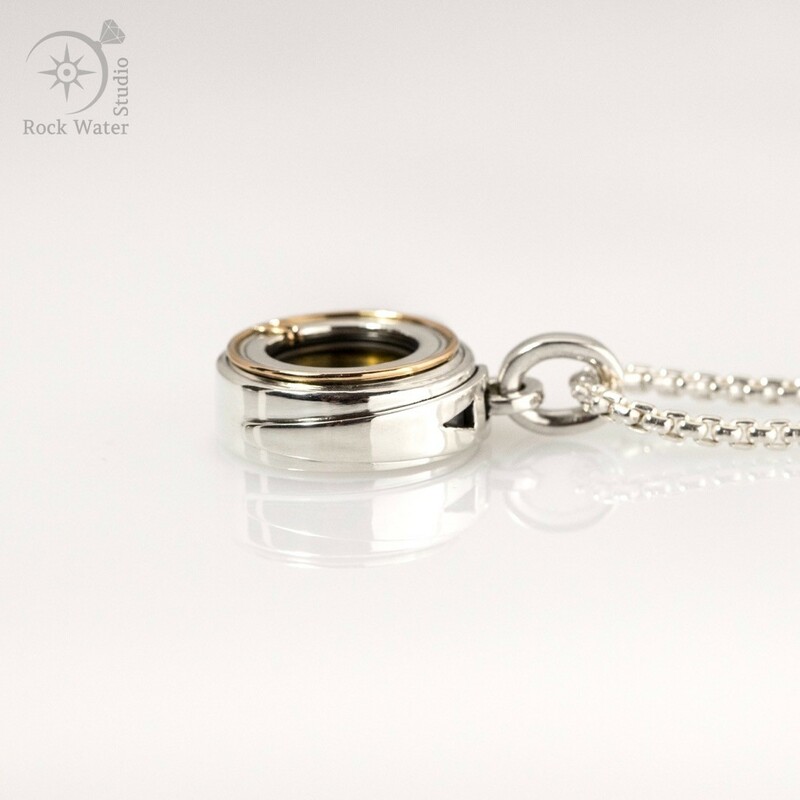 Life is an expedition, an adventure, and this meaningful compass pendant gift is ready to be your faithful companion as you set out on your journey. With a solid and strong feel, this life compass is one to enjoy every day. Shown here on a luxury box chain in silver. Silver compass pendant with 18k gold.